Yeah, Bubba, looks like the CVR will provide more than the gruesome data plots. I mentioned something to 'bird about a possible crew change of position nd then a bit of turbulence that moved bodies about. I am not ruling that out except for the power change. The FR24 data, as usual, contains numerous artifacts and synchronisation issues. That said, once cleaned up it appears to show a slight but unmistakeable climb interrupting the descent just before reaching 6000', starting about 10 seconds before the beginning of the final dive. Also, about this time, the FDR data indicated that some small vertical accelerations consistent with the airplane entering turbulence. Shortly after, when the airplane’s indicated airspeed was steady about 230 knots, the engines increased to maximum thrust, and the airplane pitch increased to about 4° nose up and then rapidly pitched nose down to about 49° in response to column input. The stall warning (stick shaker) did not activate. 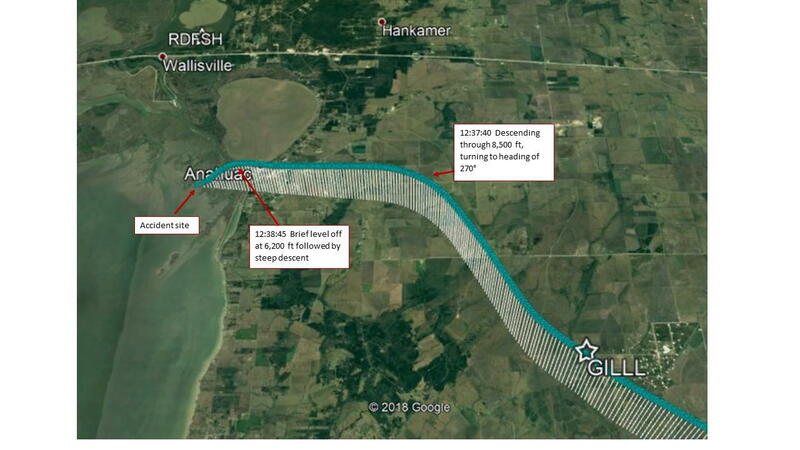 FDR, radar, and ADS-B data indicated that the airplane entered a rapid descent on a heading of 270°, reaching an airspeed of about 430 knots. A security camera video captured the airplane in a steep, generally wings-level attitude until impact with the swamp. FDR data indicated that the airplane gradually pitched up to about 20 degrees nose down during the descent. Question: if pilot slumps over due to incapacitation / heart attack, would the body movement and eventual pitch fit the above sequence of events? Yeah, I am reaching, but that seems really weird to me. That might also account for why the NTSB aren't saying what's on the CVR. Has it been stated that the CVR cannot provide additional information? As I read the release from the NTSB issued on 7th March it suggests that with filtering it may be possible to determine more elements of FD communications and environmental noise. Today's information offered by 9gmax, although I can't see it on the NTSB website, seems only to include ATC communications which are likely to have come from ground recordings. The earlier release talks about crew communications being consistent with a loss control of the aircraft....but this is not really consistent with FD actions. As with the ET accident, I find the wording of the information that is being issued by key agencies to be interesting - the text from NTSB refers to 'engines increased to maximum thrust', but does not mention TL movement. But, perhaps I am reading too much into this. Hopefully there is enough information available or ultimately accessible to enable some of the present questions to be answered. I strongly suspect that the answers to some of these questions are already known. 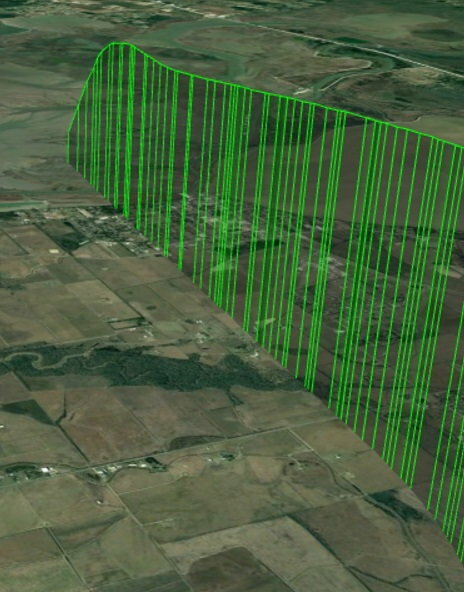 FDR data indicated that the airplane gradually pitched up to about 20 degrees nose down during the descent. Well, so much about ad-hominem attacks on my primitive video analysis in which I suggested they were indeed pulling up. The excerpt of what NTSB is sharing is interesting and basically is saying „not Beoing‘s fault“ - important due to ET crash. However, it offers no explanation to what initiated the maneuver, which could be very unfair to the crew. Fly Dubai was also not a „black swan”. Sadly this looks likely to be a sudden and deliberate act. Highjack, suicide, mental illness on the flight deck, Egypt 990 Allah Akbar, or what. Hopefully none of the above.. Sadly there aren't too many other realistic scenarios. Still the Questions is: Germanwings or hefty spatial disorientation. The fact that they were IMC, entering turbulence and have stopped the descent very shortly before (which will create somatogravic illusions of climbing) plus the fact that they started to try and recover once visual with the ground makes me tend more to the latter scenario. Still a very sobering scenario. There's still a lot of information to come out. This guy is a respected former investigator whom most likely is talking with former colleagues. Final descending approach to an airport at the end of a flight, is an odd time to choose suicide. Either pilot incapacitation or some loss of control upset in turbulence seems far more likely to me. Ahh, thanks, I was looking for a news/media release. Imagine that! The AP has a dive bomb mode.